Rev Canon Amos Magezi has been elected new North West Ankole bishop. Courtesy photo. The Rev Canon Amos Magezi was on Tuesday elected first bishop of North West Ankole Diocese. The election was presided over by the House of Bishops of the Church of Uganda sitting at Lweza Training and Conference. Rev Magezi will be consecrated and enthroned as bishop on October 1 2017 at St. Pauls Pro-Cathedral, Ibanda. North West Ankole was curved out of Ankole Diocese. Canon Magezi was born in 1963 in Kyeizooba, Igaara, Bushenyi District. He lost his father at a tender age of six who could not afford paying school fees for his education. However, after accepting Jesus Christ as his Lord and Saviour, it became a turning point of his life; God gave him education and a family. 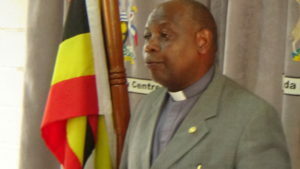 After completing Primary Six at Rwatsinga Primary School, Canon Amos Magezi went through several formal trainings and now holds two masters degrees; Master of Divinity Degree at Reformed Theological Seminary in Mississippi USA1997-2000 and Master of Arts in Organisational Leadership and Management at UCU Mukono 2010-2013. Canon Magezi started his journey of serving the Lord at the age of 14 as a Catechist at Ruburara Church of Uganda (1977-1978). After his Bachelors and First Master’s Degree training, he served as the Diocesan Mission Coordinator of Ankole Diocese from 2001 to 2002. He at the same time served as a Chaplain of Mbarara High School in 2002. 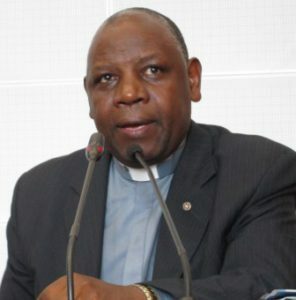 Canon Magezi is the Founder-Director and Principal of Uganda Bible Institute, Ankole Diocese. He has also served as the dean of St. James Cathedral Ruharo. Canon Magezi is currently serving as the Provincial Secretary of the Church of the Province of Uganda since January 2014. Canon Magezi is married to Jean Nyonyozi Magezi, a registered nurse and they have six children and one grand child.